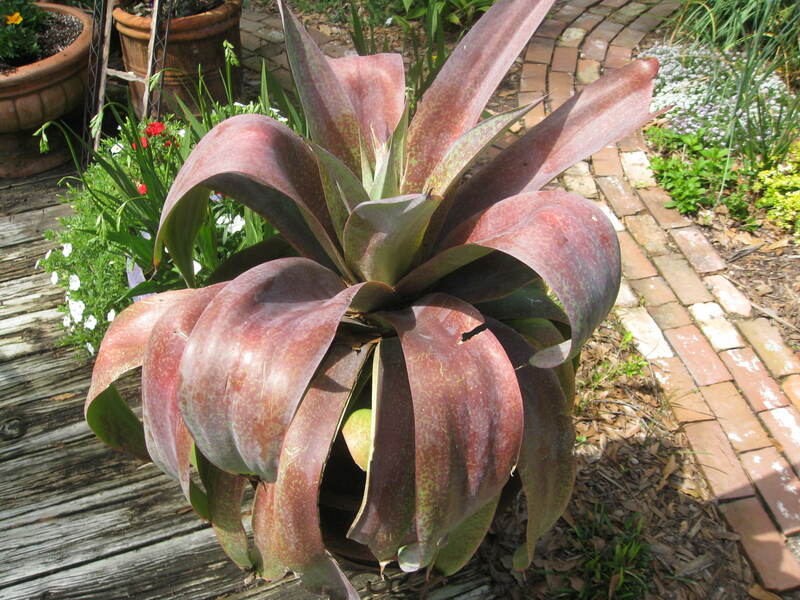 Comments: This succulent has beautiful, spineless leaves that are laverderish and spotted with chololate brown. The leaves become more green as the weather becomes warm in the spring. It is reported to be hardy down to 0 degrees F. by some but only to 15 degrees F. by others. As with most cacti and succulents, flowering does no occur annually, but it does happen more often than with the century plant.